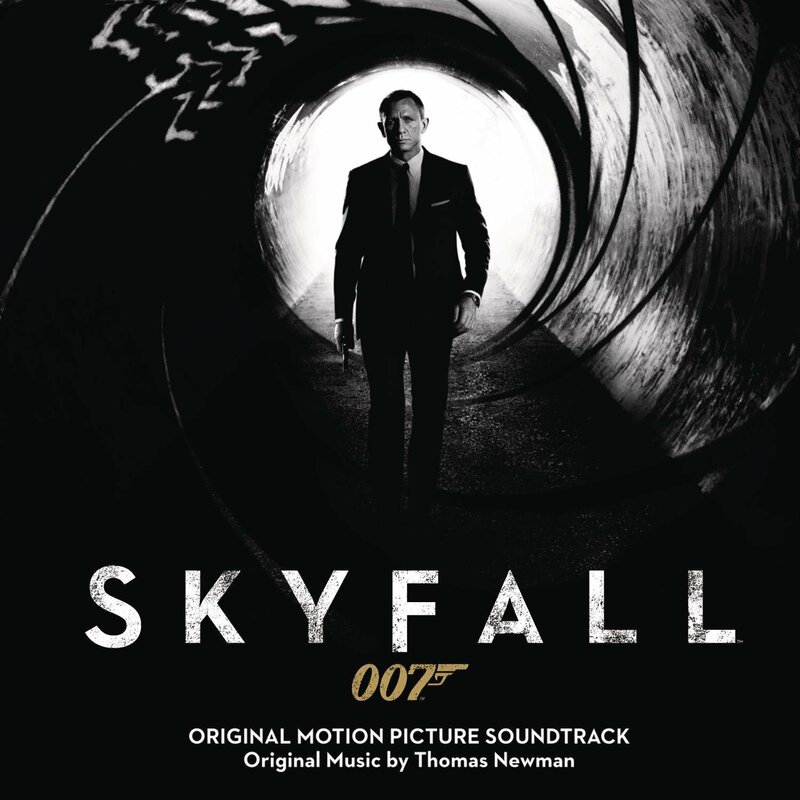 Skyfall’s soundtrack has its fair share of difficulties regarding the song of the same name by Adele. First of all, it’s not on the actual soundtrack thanks to contractual issues, as was the case with “You Know My Name” from Casino Royale. Also, it was not completed in time for Newman to incorporate it into his score, which is a real shame because it’s one of the best songs, and features a strong, powerful tune. Newman did hold off on scoring one scene, just so there could be at least one reference. The track is “Komodo Dragon”, which plays the theme wonderfully before atmospheric material and some Asian string music. It’s one of the best tracks and shows what could have been if there was more coordination in the music department. Since the score is by Thomas Newman, it’s very atmospheric, quite a shift tonally for James Bond. He doesn’t jettison the style completely. The aforementioned “Komodo Dragon” and “Chimera” have the customary fanfares, and the itunes exclusive “Old Dog, New Tricks” sounds like it would fit in well with some of John Barry’s earlier scores with its lounge-style. The Bond theme itself is featured heavily, often in small snippets. Newman’s most notable use of the theme is the rhythmic string variation from the film’s climatic action (“She’s Mine”). It sounds like many current action scores, the one that pops to mind being the theme from Batman Begins. Newman’s greatest weakness is a lack of themes. There are only two recurring ones I can distinguish on album besides the James Bond theme and some of the repeated action rhythms. The first is a sad little motif for Severine. The second is an eerie, atmospheric theme for Bond’s past (“Skyfall”, end of “Deep Water”), which is used much more frequently in the subsequent film Spectre. There are nice tunes, just not actual themes. “New Digs” is an uplifting back-to-duty piece. “Chimera” has a loud, brassy fanfare at its start. “Mother” has a noble motif that does make a return in Spectre. One cool piece is “Shanghai Drive”, an electronic/percussion track that gets a variation in “Adrenaline”. How much one likes the action music can determine how much one likes the score, as it takes up a lot of space. It does sound at times like Newman composed a really long action cue and then edited the pieces around to fit the scenes. Several tracks can’t really be told apart from each other without many listens. “Grand Bazaar, Istanbul” is one of the better tracks in this area. Since the Gunbarrel sequence was reserved for the end credits again, Newman takes the first two notes and places the right at the beginning to compensate. After some nondescript suspense music a raucous piece on electronic guitar and North African percussion ensues before a the James Bond theme makes it first sizeable appearance. “Bloody Shot” completes this cue, though it’s moved far later on the album. How does Thomas Newman compare to David Arnold? He certainly lacks in the thematic department and his music is much more simple in construction, but it’s mostly enjoyable. The atmospheric material is good and I do like how Newman found a new way to use the James Bond theme. Maybe I just like the score a lot because I love the movie and it helps me relive it. I’ll give this one a good, but not great rating.